This is revision NINE, listen to the previous post to hear the evolution of my songwriting and recording of "The Question", recording and editing and enjoy the free download along the way, feel free to share!. Original words, music, and production by Danny Hauger. Copyright 2010. Drums: Jeff Moscone. All music is free to download, share with your friends, bookmark, and come back often! Listen Now to The Question, and tell your friends! This is a venue review of the Canyon Club in Agoura Hills, California, on August 8th, 2010. Enjoy! A Clip from my shift at the Sports Lodge with Roger Lodge on AM 830, KLAA. ...documenting my journey to better vision with Dr. Pham. I saw that they offered a free consultation and that was the beginning of my journey to better vision. It has now been over one month since my LASIK procedure has been completed. My vision has become more consistent as I have recovered and can now see everything crystal clearly without my glasses for the first time since I was five years old. I have to sometimes stop and realize that when I am driving on the freeway I can see everything from the Big A of Angel Stadium to the Honda Center without a need to squint or adjust my lenses. I notice the subtle details of tree branches and blades of grass that never really had stood out before. I still find myself reaching to take off my glasses at the end of each day, only to find they were not needed at all. I am happy not only to see, but to feel healthier knowing that my vision will not continue to progress as poorly as my eyes were beforehand. 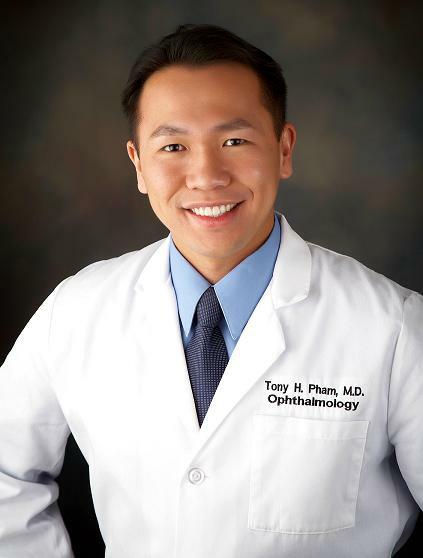 Click to listen below and hear my conclusion about my experience with the LASIK office and procedure of Dr. Tony Pham of the Orange County LASIK Institute. You can also call for more information at (949) 450-2020.